As the ongoing second edition of the youth sport festival in Akwa Ibom State gathers momentum, the Managing Director of Eminence Oil and Chemical, Mr Emmanuel Okon has commended the state Governor, Mr Udom Emmanuel on the initiative which he described as the best foundation for Akwa Ibom children in sport development. He said that the administration of Governor Emmanuel has invested heavily in sport developments through the provision of the needed infrastructure like the establishment of sport centers across the ten federal constituencies in the state, the Eket model sport stadium, and the huge investment in the state football clubs like Akwa United which has become the pride of Nigeria. Mr Okon who is a major player in the Oil and Gas downstream sector stated this recently while speaking with journalists on the significant of the youth sport festival at the Godswill Akpabio International Stadium in Uyo. He maintained that the governor’s huge investment in sport development since he came on board has not gone unnoticed. Adding that the recent awards conferred on Akwa Ibom as the state with the most patriotic sport supporters of the year, the state with the most comprehensive sport development programme of the year, and the state with the best sport infrastructure by the Federal Ministry of Youth and Sport, and the sport governor of the year by the National Sport award are all eloquent testimonies of the fact that governor Udom emmanuel has done well. Mr Okon who is also an aspirant for Uyo Federal Constituency seat comes 2019, said that the initiative will harness young talents in sports and develop them early enough to compete with their counterparts in other parts of the world. He described as apt the governor’s decision to provide the enabling environment for them through provision of basic sport infrastructures across the entire state. He explained that within the next few years, Akwa Ibom will be a destination for export of the new big stars in sport, and that is exactly what the governor is aiming at by investing massively in the sector. 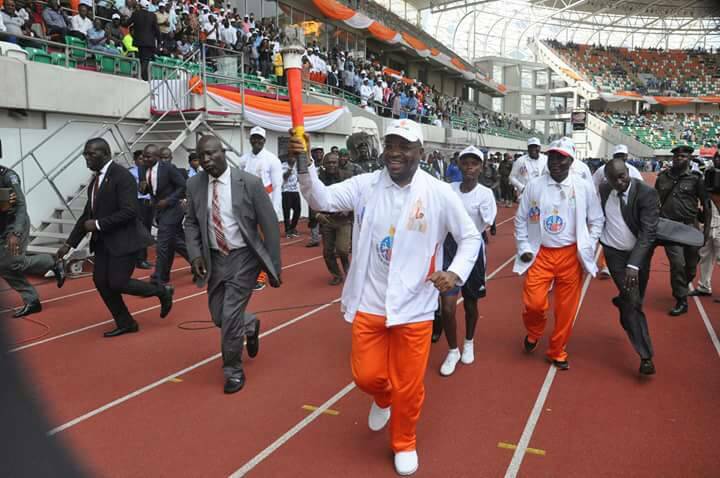 He called on Akwa Ibom people to take advantage of the huge government investment in sport and become the next big stars. According to him, one of the reasons he is aspiring to represent Uyo Federal Constituency is to help develop skills and talents of youths through effective legislation within the federal constituency, and support the wonderful developmental programmes of Governor Udom Emmanuel who is very committed to liberate them. Mr Okon also thanked Akwa Ibom traders for their support to the governor by endorsing him for a second term to continue in his superior performance beyond 2019, saying that it was the best decision the traders have taken which will sustain the tempo of development in the state. He maintained that Governor Emmanuel is a blessing to Akwa Ibom people which should be encouraged to continue in his people oriented programmes.